Equi-Heart Pledge: Author Interview 3: Horse as Guide to your Core Being! Author Interview 3: Horse as Guide to your Core Being! You always knew that horse could lead you to Who You Really Are, right? Then join me for an interesting exploration of this phenomenon with Carolyn Eberle, founder of the Mind Energy Body School of Transformation in Boulder, Co. 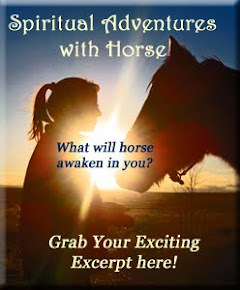 In her chapter of Spiritual Adventures with Horse, Carolyn does an amazing job of showing us how horses have reflected her self-concept from the time she was growing up in a dysfunctional household to the time she discovered how they could lead her to the truth about who she really is- what she calls, Core Being! 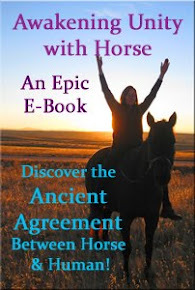 Listen in to this powerful journey with Carolyn on our Author Interview page here: Embodying Your Core Being with Horse. In Carolyn's chapter in Spiritual Adventures with Horses she shares a comprehensive exercise to guide you in embodying your Core Being! Grab your full copy of the e-book, including her special guided exercise here. Learn more about Carolyn's teaching and training at the Mind Energy Body School of Transformation in Boulder, Co.